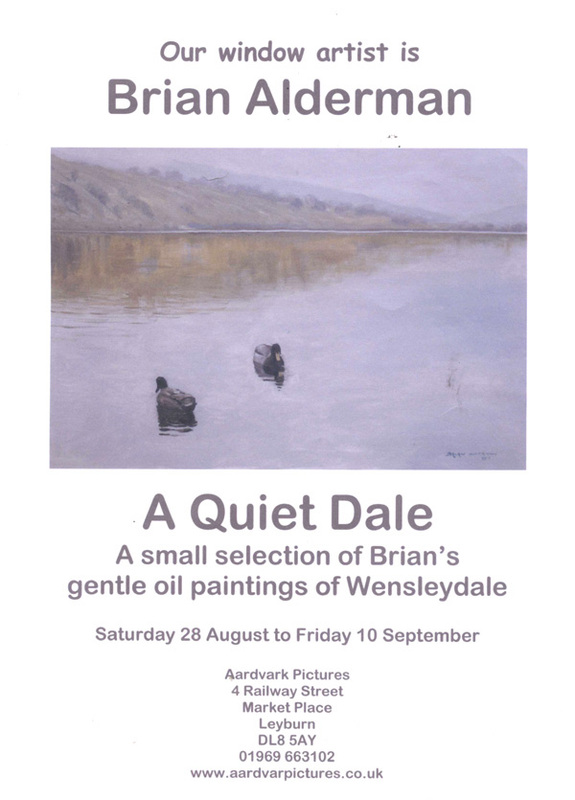 Brian Alderman Art is on view at Aardvark Pictures in Leyburn from today, Saturday, August 28, to Friday, September 10. Drop by if you are in the area - 4 Railway Street, Market Place, Leyburn. 'Gentle Oil Paintings' of Wensleydale, indeed!